Tagged cheese, cretinous, cryptospotLeave a Comment on Cryptospots Announce Partnership with CHEESE! We at Cryptospots DApp are excited to announce a radical new partnership with CHEESE Coin! 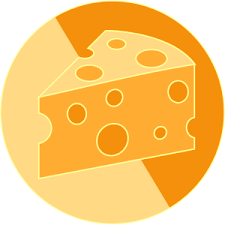 (cheesecoin.tk)The beloved CHEESE community has a special place in our hearts and we welcome them to the Cryptospots family. Now wait ‘til you hear HOW we are going to be working together. Thgis isn’t just some publicity stunt…. THIS is an epic achievement that will rock the crypto world of DApps and exchanges. THIS will revolutionize the way that you explore and interact with your surroundings. THIS will motivate, nay incentivize people to lust and beg for more CHEESE. There will be a hunger, a deep desire to acquire CHEESE, to fill your bags with coveted CHEESE, to feeeeeed the …….. Hold on we can’t tell you too much yet. You must stay tuned….. Follow our pages to find out the juicy details firsthand when they are released.